World leading hotmelt glue guns in terms of quality and design. 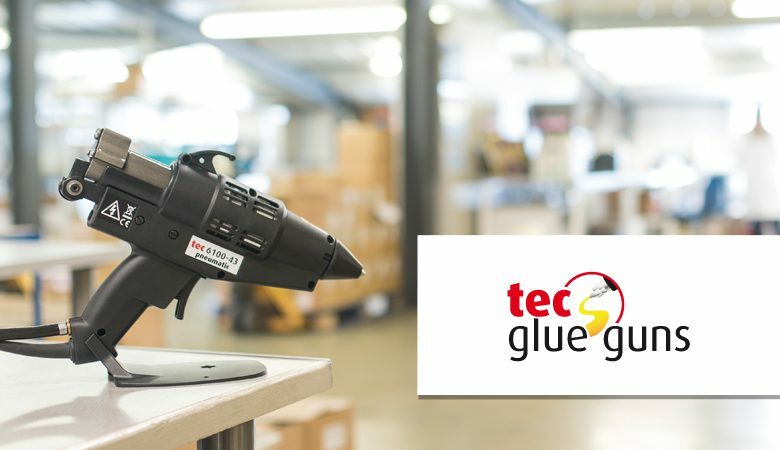 Tec glue guns are designed to apply our wide range of tecbond hot melt adhesives, easily, quickly and reliably. They are low-cost capital items, highly portable and designed to be totally reliable in tough industrial environments. Tec glue guns can apply hot melt adhesive in bead, dot and even spray patterns, depending on the model selected. The wattage of the tool normally determines the melt rate. Tool selection should be based on the amount of adhesive required per assembly, as well as the number of assemblies needed to be produced per hour. In general the larger tools are more powerful and are capable of providing greater volumes of hot melt adhesive at the correct temperature for optimum bonding.